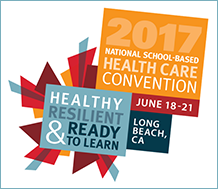 WestEd will exhibit at the 2017 National School-Based Health Care Convention, June 18-21, at the Long Beach Convention and Entertainment Center, Long Beach, CA. Visit the WestEd booth to engage with our researchers and learn about our research, evaluation, and technical assistance projects designed to improve the health, safety, and well-being of all learners. We hope to see you there!